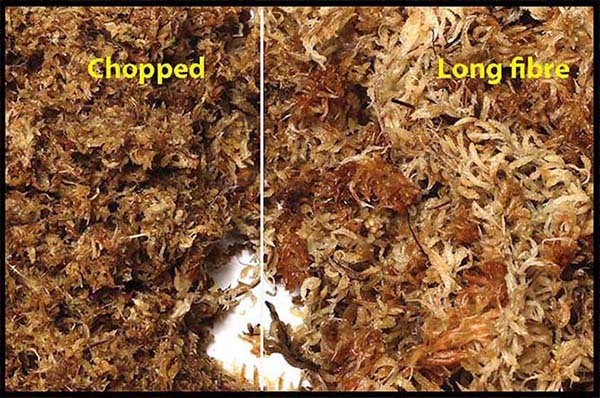 Sphagnum moss is widely used as a constituent of potting mixes. The two grades we supply are "SuperSphag" that is finely chopped and relatively dense, and "Long Fibre" that is coarser and more fluffy. SuperSphag is normally used in propagation and Long Fibre for mature plants. The sphagnum is sold dried and compressed, and expands when soaked in water. is sold in packets of 10 small pellets that expand to a toal of 3 litres of moss when soaked. comes in compressed bales that expand when soaked.